Melbourne residents will now be able to fly to the islands of Vanuatu much faster as Air Vanuatu launches non-stop flights to the nation's capital, Port Villa from June 2019. From June 18, Vanuatu's national airline carrier, Air Vanuatu will fly from Melbourne to Vanuatu three times a week on its Boeing 737-800. 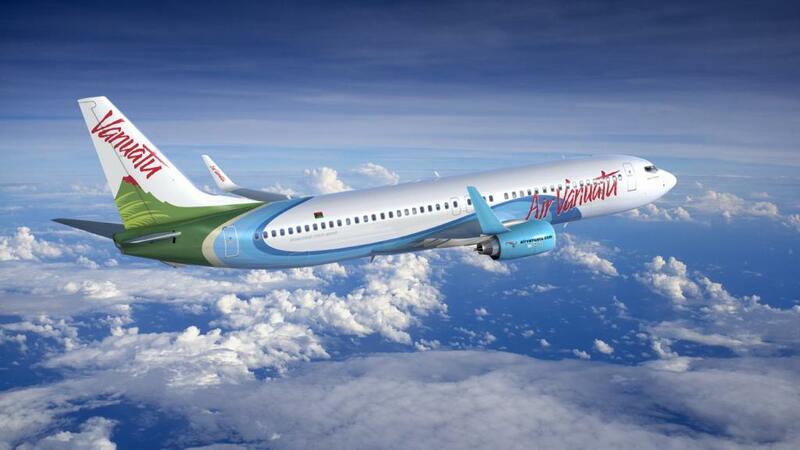 The airline will be the only direct service between the two cities, allowing Australian residents more access to the beautiful island of Vanuatu. Previously, travellers from Melbourne had to stop over in Brisbane, Sydney and Auckland before joining a connecting flight to Vanuatu. Now, the direct flight will reduce travel time by over 2 hours. With a flight time of just over 4 hours, the Air Vanuatu flight NF7 will depart Melbourne at 7am on Tuesday, Thursday and Saturday and arrive in Port Villa at 12:30pm (local time). The return flight, NF8 will depart Port Villa at 4:15pm on Monday, Wednesday, Friday and arrive in Melbourne at 8:15pm (local time). Derek Nice, Air Vanuatu's CEO & Managing Director stated he is excited about offering Melbourne's only direct service to Vanuatu. "The arrival of this new route will be particularly exciting for people living in Melbourne who have already discovered the wonders of Vanuatu and can’t wait to go back. They can travel non-stop, on conveniently timed flights, giving them more time in our island paradise,” said Mr Nice. “Subject to regulatory and government approval, we are also pleased to add code-sharing with Qantas on the new service,” he concluded. Adela Issachar, CEO of the Vanuatu Tourism Office, is thrilled to welcome even more Australian's to Vanuatu. “Like the people of Vanuatu, a holiday in Vanuatu is full of fun, inspired by the cheeky spirit delivered with a big Ni-Vanuatu smile,” said Ms Issachar. “Adventure, in its many forms, is what Vanuatu does best. From the fire and fury of an active volcano to the vivid colours of tropical reefs; from vast swathes of untouched rainforest to incredible blue holes and the soothing sound of waves lapping on the shore. Now only 4 hours flight time from Melbourne, now is the time to get Vanuatu on your bucket list,” she concluded.